Clary Fray just wished that her life would go back to normal. But what's normal when you're a demon-slaying Shadowhunter, your mother is in a magically induced coma, and you can suddenly see Downworlders like werewolves, vampires, and fairies? Clary would love to spend more time with her best friend, Simon. 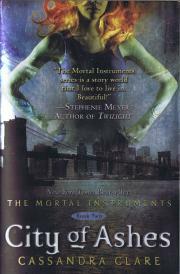 But the Shadowhunters won't let her go - especially her handsome, infuriating newfound brother Jace. And Clary's only change to help her mother is to track down rogue Shadowhunter Valentine, who is probably insane, certainly evil - and also her father. 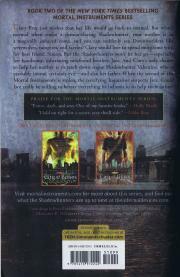 When the second of the Mortal Instruments is stolen, the terrifying Inquisitor suspects Jace. Could Jace really be willing to betray everything he believes in to help their father?